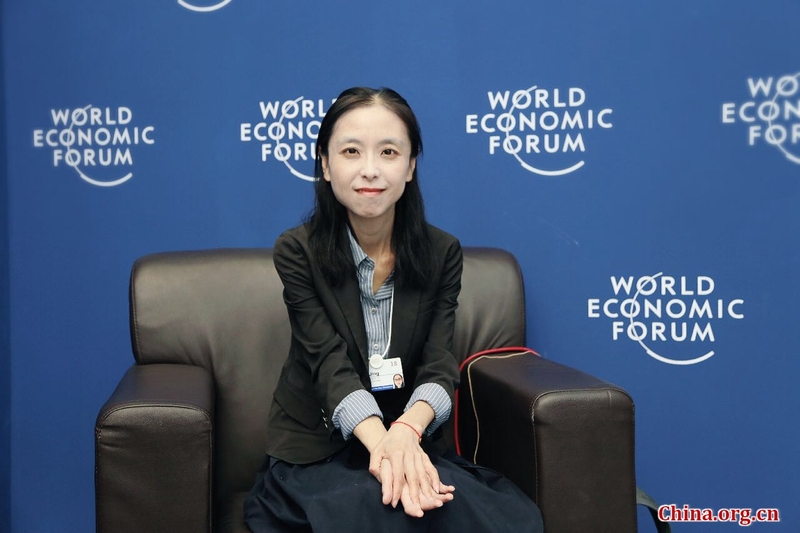 The 2018 Summer Davos, held in Tianjin Sept. 18-20, to focus on shaping an innovative society for the fourth industrial revolution, provided an opportunity for some Chinese companies to share their views and experiences in how they have greatly promoted the growth of their respective industries. Jinko Solar, the world's largest photovoltaic company, is one of these that has been able to achieve growth via green energy. Its Vice President Qian Jing said green infrastructure investment would become the new growth engine of the global economy. Being a low-cost but high-volume producer, Jinko Solar has taken advantage of the potential of this new industry. She said solar energy was one kind of clean energy not restricted by any shrinking availability of natural resources. “In recent years, the production cost of solar energy has reduced by 80 percent, so the solar energy is not only clean, but also cheap,” Qian added. On May 31, the Chinese government announced it would suspend most solar subsidies. When talking about the policy, Qian said it could help promote healthy and sustainable development of the photovoltaic industry in the long run. "The photovoltaic industry will form a mature business model in the next one or two years. From relying on government subsidies to boosting economic development, the green energy industry will become a new growth point for the global economy," she said. In 2017, the output value of the photovoltaic industry reached US$117 billion in China, creating 2.2 million jobs, and, according to World Bank statistics, the global investment scale will reach US$ 1.5 trillion by 2020. According to Qian, Jinko Solar has become the world's largest solar panel manufacturer, with 80 percent of its operations overseas. It now has more than 30 overseas offices, 4overseas factories, and its products are sold in more than 90 countries. However, it is also necessary to innovate the company's operations and business model so as to help green investment, finance, and the supply chain achieve improved development. Qian said that the Belt and Road Initiative is providing more opportunities for photovoltaic companies to invest overseas. "With poor power infrastructure, low natural energy, high thermal power prices, and abundant sunlight resources in many areas, most of the countries along the Belt and Road are developing countries, becoming ideal places to develop photovoltaics. These places have lacked talent, products, experience, and capital, which gives the private company like Jinko a great opportunity to go abroad,” she said. She cited the example of Jinko Malaysia, which has become the earliest and largest company in the photovoltaic industry to have a 3GW cell capacity and 2.5GW module capacity. Jinko has also been successful in its bid for the largest independent solar power plant in Latin America, Mexico's 188MW power project. It has also invested in the world's largest independent photovoltaic power project, Abu Dhabi's 1.2GW power plant. There is also further immediate potential exceeding 1GW in the countries along the Belt and Road. "From global sales, global manufacturing, to global investment, Jinko Solar, as the world's largest photovoltaic company, has always been committed to the development and popularization of photovoltaic power generation in the world, " she stressed. The 2018 Summer Davos, held in Tianjin, provided an opportunity for some Chinese companies to share their views and experiences in how they have greatly promoted the growth of their respective industries.